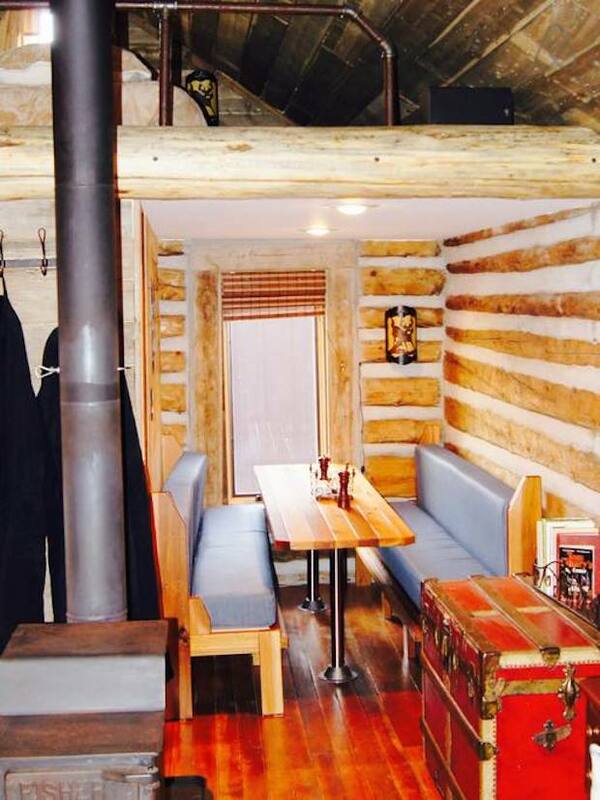 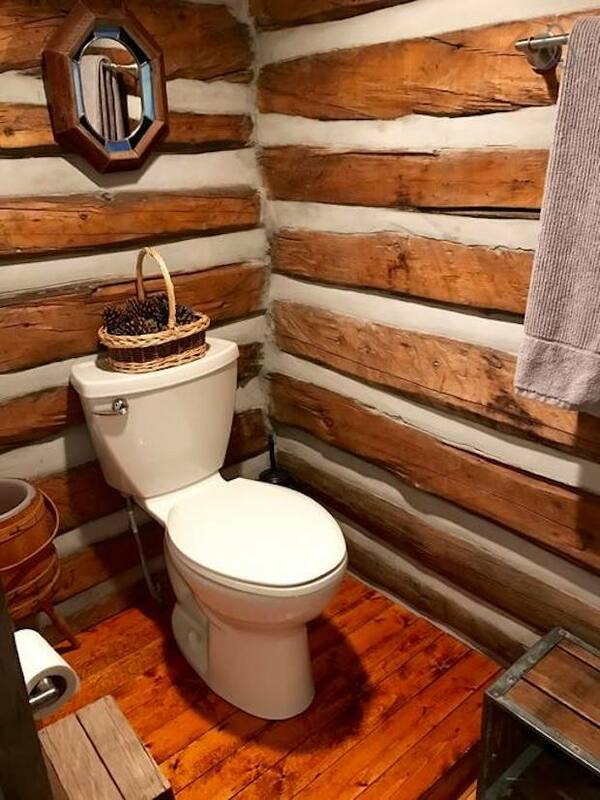 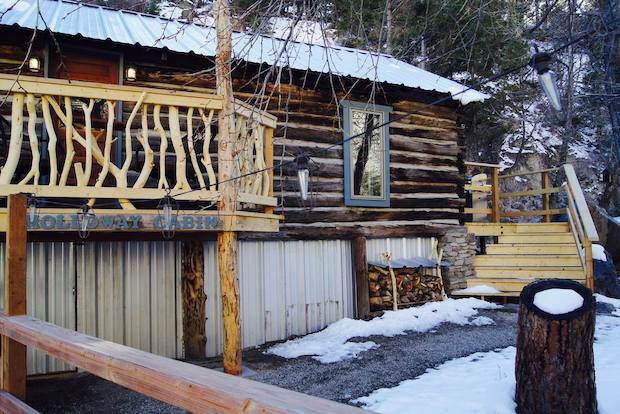 This historic cabin was restored and repurposed into the Halloway Cabin. 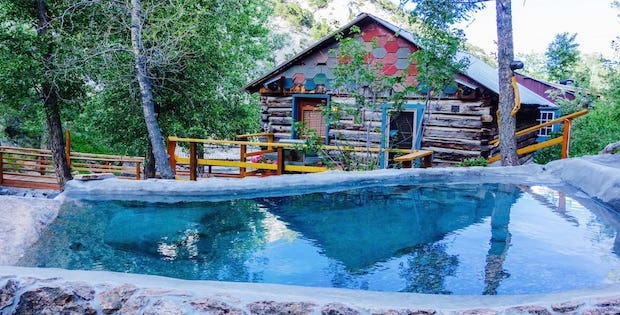 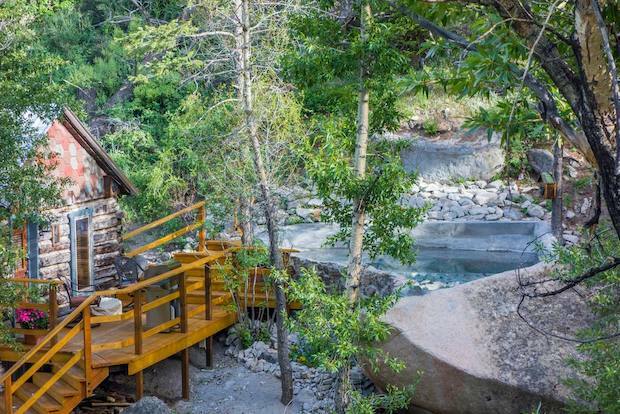 It overlooks a creek and it has its own private hot spring in Buena Vista, Colorado. 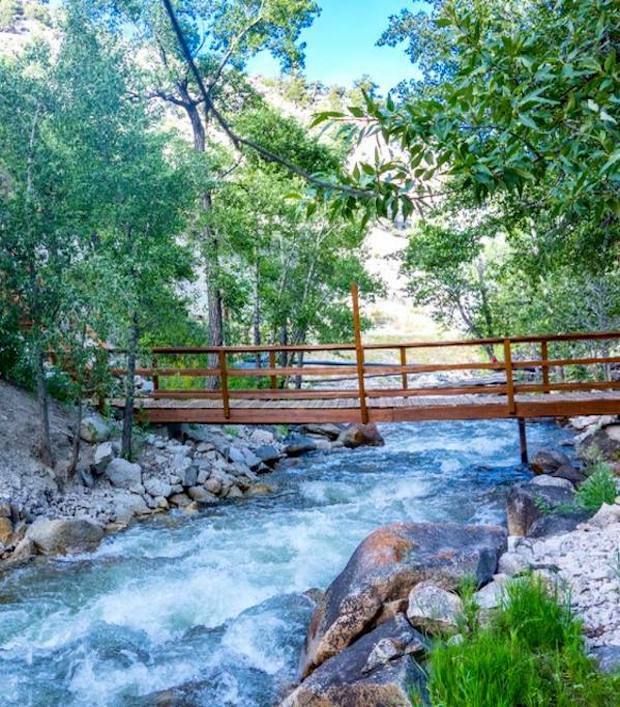 Here you can admire the lush scenery and beautiful mountain views. 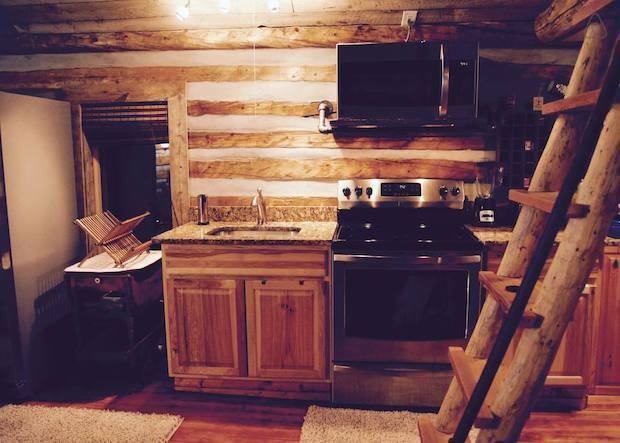 The cabin comes with modern amenities for maximum comfort. 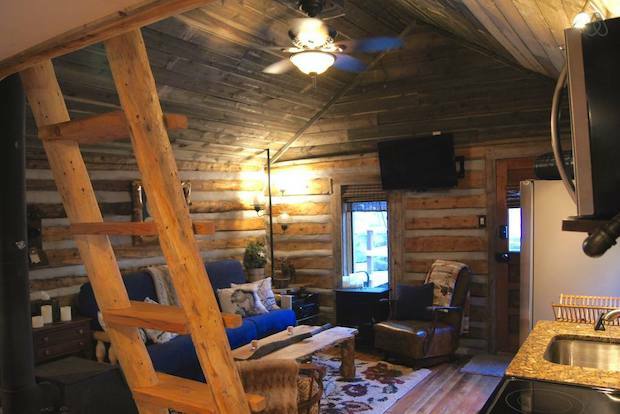 It has a studio layout with a loft for additional space. 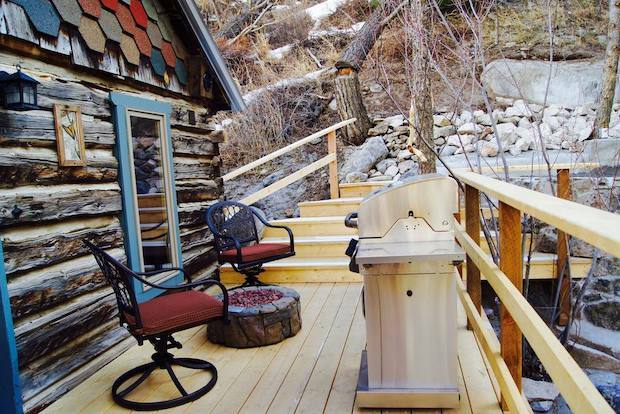 The location provides privacy from the outside world, being in the heart of the Rocky Mountains. 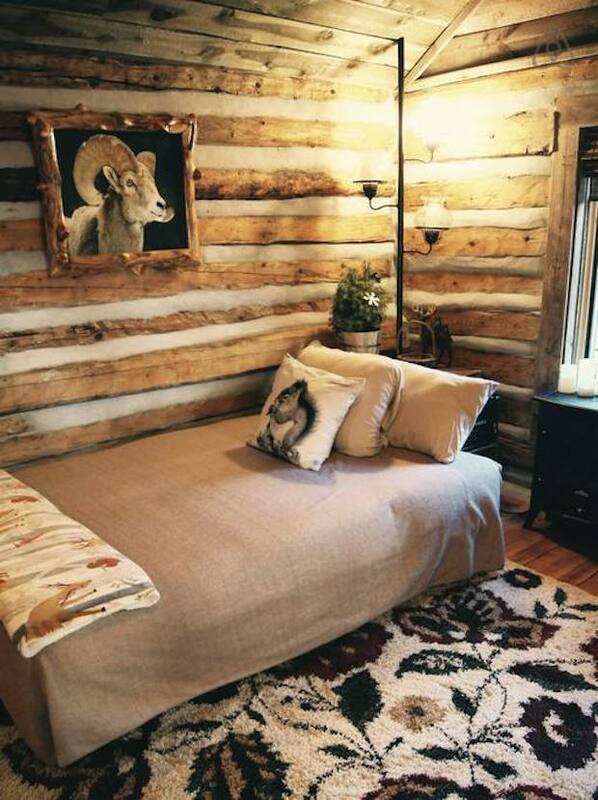 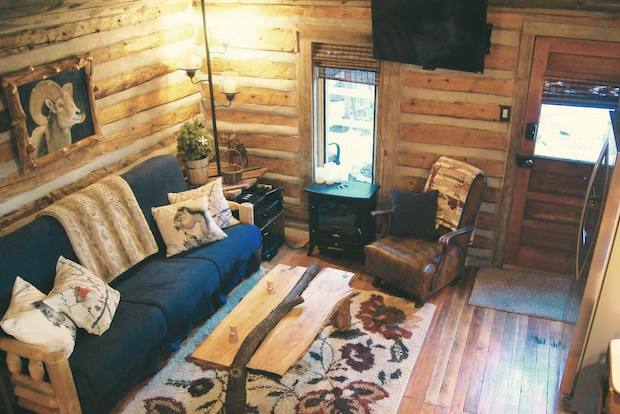 The Halloway Cabin can accommodate up to 6 guests for about $350 per night. 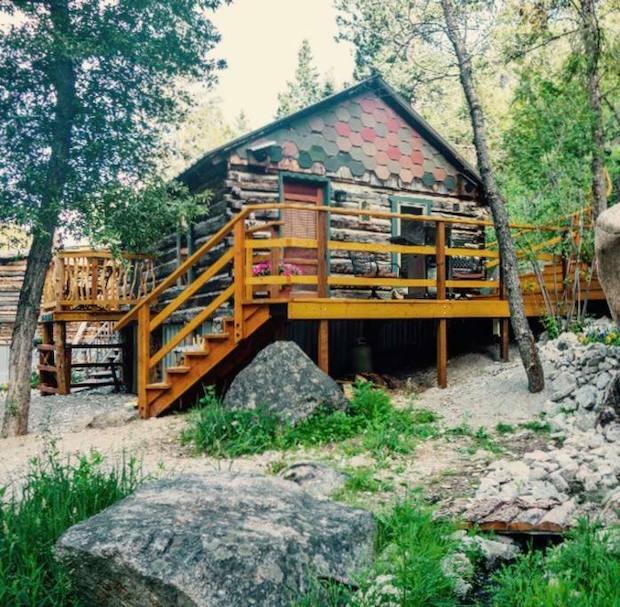 Our restored 1800’s mining cabin is nestled in the mountains, bordering Cottonwood Creek. 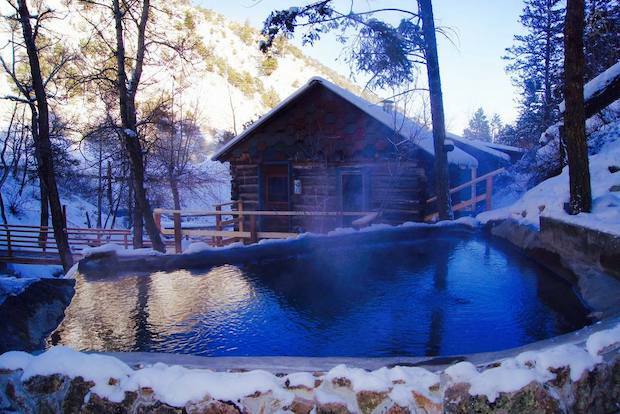 Our one of a kind cabin offers a handcrafted odorless hot spring hot tub. 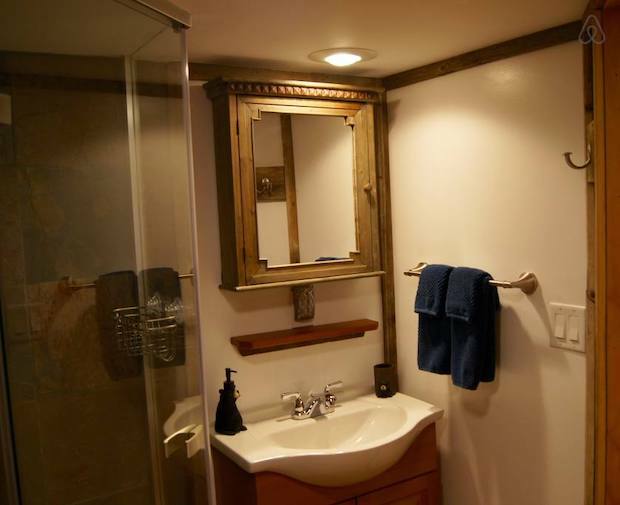 It has an ever-flowing infinity edge and mood setting led lighting.